I like to browse from time to time through the internet, hopping from blog to blog, following the inserted links, searching for inspiration for my work. But there are only three blogs I have kept faith with for more than half and a year now, eager not to miss any post. I feature them here, not only because they impact on my professional opinions and thinking, but because – taken together – they can teach us something about good exhibitions. 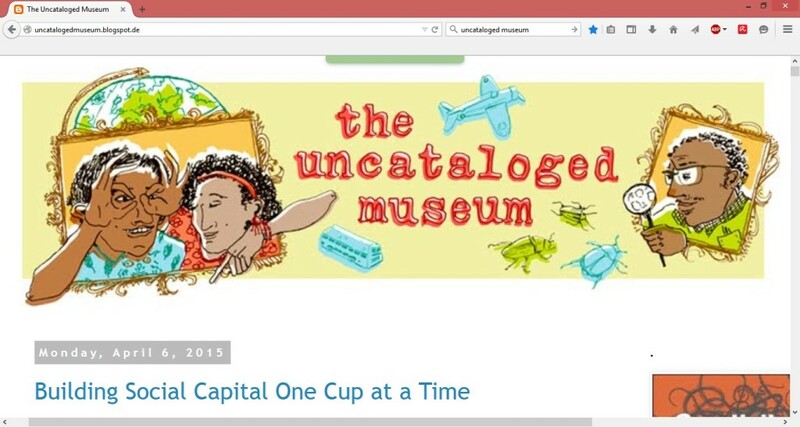 Two of the blogs are museum blogs: The Uncataloged Museum of independent museum professional Linda Norris and Museum 2.0 of Nina Simon, Executive Director of the Museum of Art & History in Santa Cruz, CA. Both professionals‘ primary concern is to strengthen the connections between museums and communities. 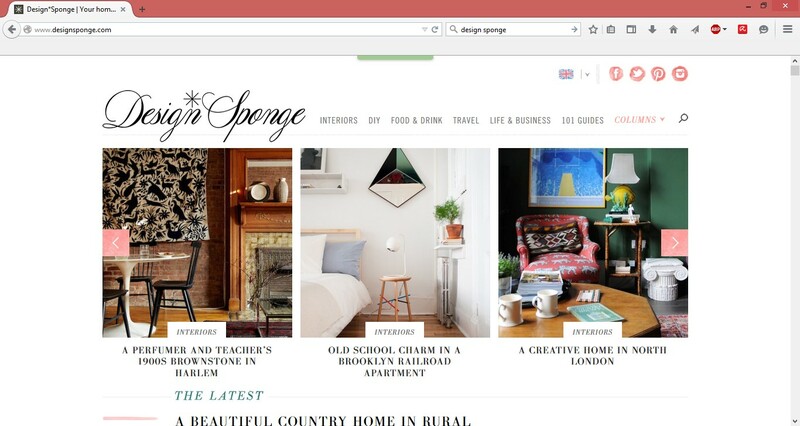 The third blog is Design*Sponge run by writer and designer Grace Bonney. The core of the blog are photographs and reports about people’s homes; another important part are interviews with professionals working in the creative industries. Even though the three blogs are very diverse, they have something in common which is perhaps the most important reason for me to stay connected: all three bloggers express their professional voice in a passionate, courageous and generous way. Passionate, because you notice from every line they write that they really care about what they are doing and that they truly believe in their work’s importance for their audiences. Courageous, because they hold strong opinions, call conventions into question and do not shy away from addressing doubts and open questions. Generous, because they share their expertise without reservation and embrace the dialogue with their followers. 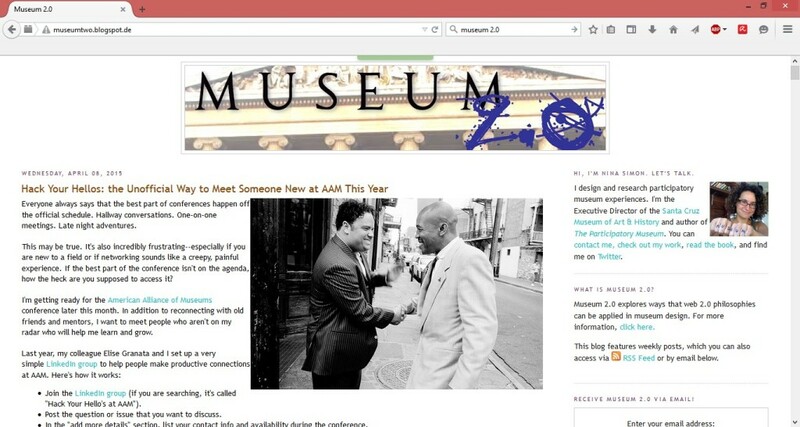 Inspired by Nina Simon who intends to explore what museums can learn from the web (hence “Museum 2.0”), I asked myself what can be learned from these blogs for curating. I came to the conclusion that I really would love to see relevant exhibitions with strong positions and a non-lecturing but sharing attitude more often. As a result: “passionate, courageous and generous” is my new motto for exhibition making. Posted on 13th April 2015 by exhibition-telling.com	This entry was posted in Inspirations. Bookmark the permalink.